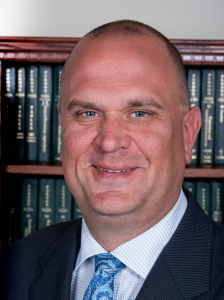 My name is Larry W. Miller, Jr. I’m an experienced Business Attorney and Managing Partner at The Miller Law Group. No other Business Attorney in Reading or Berks County will work harder to protect your business in all areas of PA Business Law. explain your business’s legal issues in plain English, so you don’t have to be a Business Attorney to understand. most importantly, protect your business the same energy and attention to detail as we would our own. ensure you have a sound legal basis for many years of success. Proper planning is essential to prevent contract disputes. Contracts protect your business only if they are designed to address possible issues and well-written to offer maximum protection. Only an experienced Business Lawyer knows the possible issues and how to address them. Here’s why Berks County businesses choose and recommend us. Our proven, experienced Business Lawyers have 40 years’ experience protecting small and large businesses in Berks County near Reading as well as multinationals. know the expected events that affect your business. have experienced and successfully dealt with the unexpected events that can blindside you. write contracts that protect you from both. understand what it means to put your heart and soul into your business. We know what it means to your family and employees. That’s because we are Berks County business owners. Our firm’s core value is to treat our clients’ problems as if they were our own. We apply the same diligence and personal care we would bestow on legal issues affecting our business. 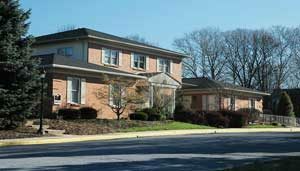 No other Business Attorney in Reading or Berks County is better prepared to defend you in contract disputes. Our goal is to write contracts and negotiate leases that protect your business so it can grow to its fullest potential. You won’t find better Business Contract Lawyers in Reading, Berks County or Pennsylvania. Let us help your business. Contact Us Online or Call Us at 610-670-9000.
want to keep what we’ve earned. You won’t find better Business Tax Planning Attorneys to help you. We appreciate what it takes to succeed and work just as hard to save what you’ve earned as we do for ourselves. Contact Us Online or Call Us at 610-670-9000. When there’s an issue affecting the future of your business or operating your business, you can always turn to us for support. Our Attorneys have worked with companies across all disciplines and industries. We will defend you. Contact Us Online or Call Us at 610-670-9000.
for large incorporated business, help you avoid liability and losses by ensuring all parties involved in the transfer are satisfied with the results. Contact Us Online or Call Us at 610-670-9000. Sometimes ending a business can be more complicated than starting one. We can help. We understand the unique concerns of business owners in different sectors. We create the legal framework Tax Planning you need to enjoy the fruits of your hard work. Whether you need to pursue a claim or need help with mediation, our Attorneys work provide your business with the required leverage you need to enjoy a brighter future. Contact Us Online or Call Us today at 610-670-9000.